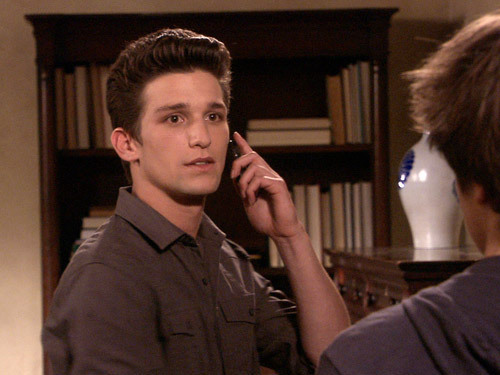 Ricky and Leo decide to let Adrian live in the condo rent-free until she's out of college. [...why doesn't she move back home? It's close.] Ben lets her keep the ring. Adrian is still trying to be with both Ben and Ricky... and she actually succeeds in seducing Ben enough to get him to make out with her (and maybe more...). Lauren and Madison tell Amy that Ricky definitely looks through Amy's phone, and that they do it all the time to others. Amy is shocked, and the only one who feels any guilt about looking at other people's phones. [it's never even occurred to me to look at someone else's phone... what's the point? trust and move on, you guys.] Adrian claims she's never checked Ben's phone.